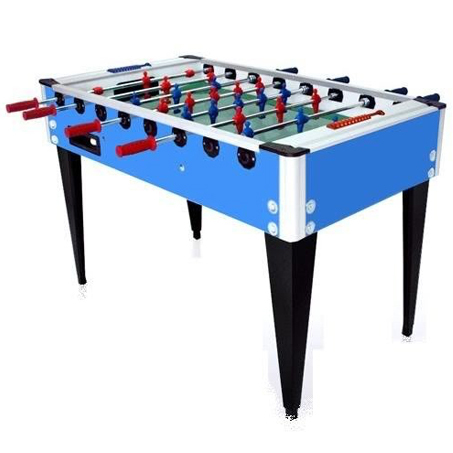 ​This foosball table is a classic for home use. It doesn't have the coin-op feature, so you can easily play for hours! The cabinet is made from multi layered plywood covered in plastic laminate. 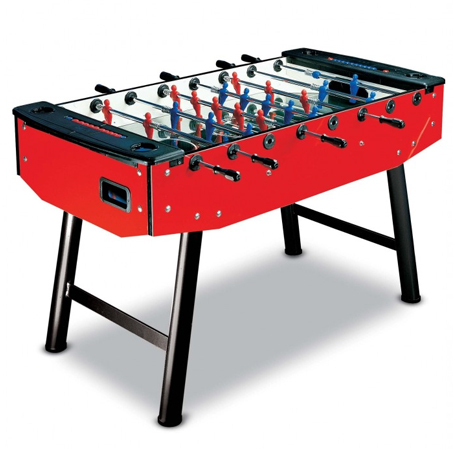 At its core lies a potent combo of speed, weight and power, allowing you to bamboozle your opponents with sneaky flicks and deft cross-over moves, before blasting a hot shot into goal. With heavy iron legs that assure a rock-steady platform, the College can withstand the heaviest punishment so you can play with the highest intensity to create street history. 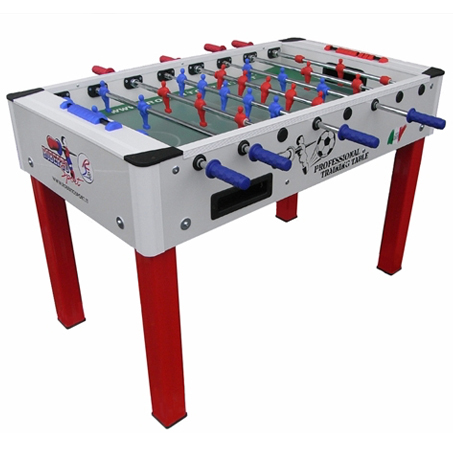 This table's dimensions and features are like those of professional models but without the coin mechanism. 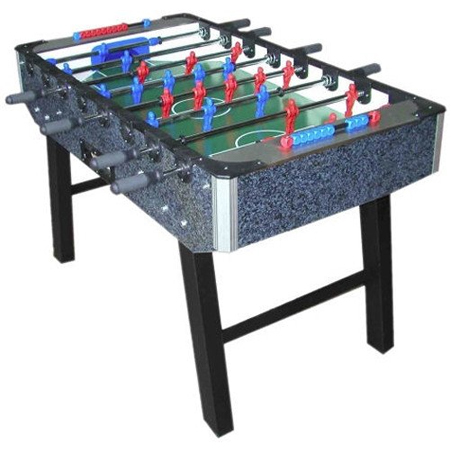 Ideal for domestic use, schools, clubs & communities.